As David Mead remarks his recent UKCLG blog post on the scope of the Human Rights Act, there is ‘much more than meets the eye’ to the HRA’s hybrid public authority scheme. It is not just about the meaning of the term ‘functions of a public nature’ under s 6(3)(b). Hugely important though this issue is, its well-documented intractability may have obscured deeper issues relating to the inherent mechanics of the scheme itself. Two such issues are the meaning and scope of the notion of a private act under s 6(5) and the rights-status of hybrid public authorities when performing public as opposed to private functions. They are important not just in their own right but also as potential clues to the proper interpretation of s 6(3)(b). As I have argued elsewhere (at  PL 139), it is difficult to see how judges could ever determine the scope of that provision correctly without first being clear as to how the scheme of liability it triggers actually works, and what it does to the defendants to which it applies. Using the recent ruling of Arnold J in Olympic Delivery Authority v Persons Unknown  EWCA 1012 (Ch) as a springboard, Mead offers some thoughts on each of the s 6(5) and rights-status issues. In this post I offer my own. My end point is agreement with his basic contention that Arnold J was mistaken to believe that the Olympic Delivery Authority (the ODA) enjoyed Convention rights of its own in that case. But our thinking on each point differs somewhat, as will be seen. In ODA, in which the ODA successfully sought an injunction to prevent trespassers from unlawfully obstructing agents and contractors from entering land earmarked for Olympic development, Arnold J believed himself bound (at ) to balance the protesters’ rights under Arts 10 and 11 ECHR with ODA’s right to respect for property under Art 1 FP. Evidently, his Lordship therefore assumed that the ODA could not have been a ‘core’ public authority under s 6 HRA. These, of course, are obviously public bodies such as government departments, the NHS and the armed forces, all of whose activities are caught by the Convention. To be a rights-holder one must be a ‘victim’ under s 7(1) HRA, which in turn requires one to be a ‘person, non-governmental organisation or group of individuals’ under Art 34 ECHR (see s 7(7)). It is clear beyond doubt from the ruling of the House of Lords in Aston Cantlow PCC v Wallbank  UKHL 37 that core public authorities, being inherently governmental, can never satisfy the victim test. This is rooted in Strasbourg’s idea that Art 34 envisages a binary, institutional distinction between the individual and the state, with the result that governmental organisations are permanently precluded from filing their own Convention claims, even if they happen to be doing so in relation to activities that would straightforwardly be regarded as private (see e.g. Ayuntamiento de Mula v Spain App no 55346/00 (ECtHR, 1 February 2001)). The idea has been criticised (by Howard Davis, at  CLJ 315), but it remains the law. Mead’s criticism of ODA is not based on the argument, easy enough to make, that the ODA is indeed a core public authority. Core public authorities are ‘selfless’ bodies created and controlled to serve the public interest over their own: see my earlier work at  PL 139, 148-150. They differ fundamentally from ‘selfish’ institutionally non-state bodies, who are constitutionally allowed their own interests and motivations, whether as human beings, charities, or profit-making organisations, and who can therefore do as they wish – as Laws J emphasised in R v Somerset County Council, ex p Fewings  1 All ER 513, 524 – within the confines of the law. This is evident from what has been said about core public authorities academically (by Dawn Oliver, at  PL 476), and judicially (in Aston Cantlow, which drew from Oliver’s work), and also from the scope of the governmental organisation concept in Strasbourg to which the core public authority concept equates. It is clear that core public authority status would apply to the ODA, which was established under s 3 of the Olympic and Paralympic Games Act 2006 and invested with the power ‘to take any action it thinks necessary or expedient’ in order to prepare, or to make or ensure that arrangements are made for the preparation of, the London Olympics (see s 4). In exercising its functions the ODA must obey any directions given by the Secretary of State (Sch 1, para 18(1)(b)), who appoints its members and chairman following consultation with the Mayor of London (Sch 1, para 1(1)). Despite its formal status under s 3(1) as a body corporate, the ODA is evidently not a constitutionally selfish private organisation. That it must exercise its functions with regard to ‘the desirability of maximising the benefits to be derived after the London Olympics from things done in preparation for them’ (s 4(3)(a)), for instance, is a further indicator of the public-interest purpose for which it was created and is so closely central government-controlled. The ODA’s status as a core public authority is the real reason it lacks Convention rights of its own. I begin with the rights-status issue, giving my views on the s 6(5) point below. I have argued before (at  PL 139) that hybrid public authorities do not lose Convention protection when acting in their public capacities. It is possible in a given case for a hybrid both to be attacked under the Convention and to defend itself using its own Convention rights. The issue has never been judicially resolved, as Mead observes, and a handful of commentators – notably Buxton LJ, in YL v Birmingham City Council  EWCA Civ 26, at  – have previously assumed that hybrid public authorities do indeed lack Convention protection when engaging in public activity. But under the HRA as presently drafted there is nevertheless a right answer. Whether a person can assert Convention rights under the HRA turns, as seen above, on whether Strasbourg would regard that person as a victim under Art 34 ECHR were a claim to be brought before the ECtHR in respect of the same act. What the issue therefore boils down to is the interpretation of the Strasbourg case-law on the meaning of Art 34. If a hybrid public authority is a governmental organisation under Art 34 and therefore not a victim in Strasbourg’s eyes when behaving publically, then it loses Convention protection under s 7 HRA. But if it is a victim under Art 34, then it follows that it must enjoy its own Convention rights domestically. This is apparent not just from Parliament’s clear intention to tie the standing questions under s 7 and Art 34 together, but also from the potentially very serious discrimination issue that would arise if we denied rights protection against Strasbourg’s wishes to hybrid public authorities acting in their public capacities. In Art 14 ECHR terms, it represents a classic example of denying Convention rights according to a person’s status in the domestic system. It is not a million miles, to borrow from some familiar examples, from denying Convention protection to those with red hair – or to fishing companies without the requisite number of British directors. Parliament could of course defy Strasbourg by legislating expressly for rights-stripping if it wished. But in the absence of any such move, the conclusion is irresistible: hybrid public authorities will enjoy Convention rights in their public capacities under the HRA if this is what would occur in Strasbourg under Art 34. Although I spare readers a lengthy re-rehearsal of my reasons for thinking that this would indeed occur (these can be found at  PL 139, 145-154), it is certainly worth reiterating the point made above, that Strasbourg has constructed a rigid and binary institutional divide between governmental and non-governmental bodies under Art 34. A body is either governmental in nature – constitutionally ‘selfless’ – or it is not. Under no circumstances will its Art 34 status change according to the nature of the activity it performs. Governmental organisations are governmental through and through; private organisations are private through and through, and therefore enjoy Convention protection at all times. So the point I am making on the rights-status issue is this: s 6(5) is irrelevant to the capacity of a hybrid public authority to enforce its own Convention rights. If the ODA were a hybrid public authority, which I have argued anyway is not the case, then it would be entitled to its rights in whichever capacity it acted. Whether it performed public functions or was otherwise engaged in public activity when seeking to enforce those rights is not the issue. This leads neatly, then, to the s 6(5) question – more specifically, of how the concept of a private act relates to that of a public function under s 6(3)(b). This question is by far the thornier, not helped by the absence of any ministerial comment at all on the concept of a private act as the HRA passed through Parliament. Earlier cases such as Poplar Housing v Donoghue  EWCA Civ 595 tended to ignore the functions-acts distinction altogether. Ruling that a government-created registered social landlord was a hybrid public authority when providing accommodation to a tenant whom the landlord later sought to evict, the Court of Appeal (at ) listed a number of factors relevant to its conclusion – but made no effort whatsoever to explain whether these bore on the nature of the landlord’s function under s 6(3)(b) or its act under s 6(5). Later cases saw something of a judicial awakening in this respect, with a growing appreciation that the hybrid public authority question actually involves a two-stage test of both the function and the act (see Lord Hobhouse in Aston Cantlow and Lords Scott and Neuberger in YL v Birmingham City Council  UKHL 27), but this only brought the perplexing conceptual question of how ‘functions’ and ‘acts’ differ to the fore. The Court of Appeal’s ruling in R (Weaver) v London & Quadrant Housing Trust  EWCA Civ 587, which concerned the status under s 6 of a registered social landlord that in contrast to Poplar had not been created by government, is an interesting case in point. It is a glorious illustration of how easy it is in this context to become engulfed by a trap with a black hole-like capacity to swallow up virtually all trace of rationality and common sense. The trap’s unsuspecting victim was Elias LJ, who seized on the functions-acts distinction and reasoned that s 6(5), not s 6(3)(b), is effectively the operative provision when it comes to determining whether a particular hybrid public authority is bound in a given instance to respect Convention rights (at ). Since s 6(5) has the last word on the body’s liability, and since s 6(3)(b) says nothing of which of a hybrid’s functions must be public, his Lordship took the view that Parliament really only intended to cast s 6(3)(b) in a cameo role: as long as one of a body’s functions is public, then all that matters is the nature of the act complained of under s 6(5). If this act is public, then Convention challenge against the body can lie, regardless of whether the function pursuant to which the act is performed is public or private in nature. What we have under this approach, then, is an apparent broadening of s 6(3)(b): a hybrid body with a single public function on its books could theoretically perform a private function towards the complainant but nevertheless face Convention liability because under the all-important s 6(5) it performed a public act. The effort to open up s 6(3)(b) in this way, if that was indeed the intention, is laudable enough. I am not the only author to have argued (at  EHRLR 524) that the courts’ treatment of s 6(3)(b) is probably too narrow, after all. The approach has moreover been suggested before (by Jonny Landau, at  PL 630). But with the greatest respect to those who are tempted by it, the approach is seriously flawed. The idea that a public act could be performed pursuant to a private function is highly dubious in any event, as Lord Collins MR observed (at ). Elias LJ admitted himself (at ) that ‘Such situations are likely to be extremely rare.’ One might argue that with a clearer impression in mind of the functions-acts distinction the approach does become tenable, but this is where Weaver becomes even more puzzling. Joined by Lord Collins (at ), Elias LJ took the view (at ) that the nature of the act under s 6(5) strongly depends upon that of the function pursuant to which it is performed anyway. Acts that are ‘so bound up with’ a public function, he believed, would be public acts. So having showered s 6(5) in roses as the real star of the s 6 show, and having admonished (at ) the Divisional Court for failing at first instance to spot its Hollywood potential, his Lordship was in any event forced down the very same road trodden by judges in previous cases – of having to determine the nature of the function in question, around which everything else hinges. Having concluded that the function of allocating and managing housing stock was public, Elias LJ then ruled that the act of evicting the tenant was public as well. Even if the approach is theoretically viable, therefore, it gets the courts nowhere in practice. There is no escaping the need to determine the nature of the particular function performed towards the claimant in the case at hand. Indeed, it was disagreement over the nature of the function that split the court two to one, with Rix LJ dissenting. The foregoing, I think, exposes three things about the meaning of s 6(5). First, it attests to the sheer difficulty of attempting to pin down the abstract distinction between functions and acts. The only real judicial guidance to have been given on the functions-acts distinction is by Lord Neuberger in YL (at ), that ‘functions’ are less specific than ‘acts’ and that various acts may be done in the performance of a particular function, but this is probably as precise, realistically, as it could get. Second, it emphasises that s 6(3)(b) retains the lead role – even if, as I mentioned at the start of this post, it is not the only issue worth worrying about in the hybrid public authority context. This follows not just from the difficulties seen in Weaver of trying to depart from this idea, but also from the very idea of a test that assigns public status to a body according to the function that it performs. A functional categorisation like this is alien to the institutionally-focussed governmental organisation jurisprudence in Strasbourg, as I argued above, so there will be no useful steer on the acts-functions distinction from here. The same is true of the meaning of a public function for the purposes of amenability to judicial review, which constitutes the only domestic body of case-law to provide any potential guidance to the courts on which functions are public and therefore attract legal duties, like Convention obligations, that apply primarily to the state. This is a tricky area in its own right and its link to s 6(3)(b) is equally unclear. I have my own views on both issues, but here is not the place to detail them. The point is that the amenability test itself may be functionally focussed, but there is no similar functions-acts distinction here either, so the courts are unassisted by this body of law as well. Clearly s 6(5) is designed to cut down the scope of hybrid public authority liability by reference to the nature of the particular act complained of, but quite how Parliament intended this to happen is manifestly unclear. All of this militates against reading s 6 in a way that renders s 6(5) the protagonist. There is no substitute for a more precise definition of a public function, difficult though it is to define, which should be able to do the vast majority of the work of determining when a private organisation should be a hybrid liable to Convention challenge and when it should not. Third, and finally, I think the foregoing suggests that in terms of the meaning of a private act under s 6(5), Elias LJ and Lord Collins were probably correct. Although Elias LJ’s specific idea that a public act could flow from a private function is difficult to swallow, the basic idea that an act should ordinarily take the same nature as its parent function is sensible. It strikes a fair balance between giving s 6(5) some sort of role by recognising a basic functions-acts distinction, on the one hand, and bogging the courts down in an artificial, complex and technical assessment of the precise distinction between public functions and public acts, on the other. On this approach, s 6(5) would only come into play if the defendant hybrid could cast real doubt over the idea that the act complained of did in fact result from – was ‘so bound up with’ – the particular public function in question. This might be because the act was more naturally seen as resulting from a private function, or perhaps because in reality it was simply a one-off act with no parent function at all. Not all acts, of course, will have parent functions: what is the function pursuant to which a fight in the street takes place, for example? To-double lock this more minor role for s 6(5), too, the courts would obviously have to treat defendants’ attempts to make use of that provision cautiously. It should not be open to a hybrid public authority care home, for instance, to wriggle too easily out of Convention liability by claiming that the abuse by nursing staff of residents fell outside of the public function of providing care and accommodation and was therefore a private act under s 6(5). The need to avoid simply emptying out the content of s 6(3)(b) is an important reason to ensure that it plays a proper role relative to that played by s 6(5). 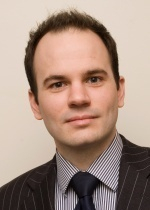 Dr Alexander Williams is a Lecturer in Law and Co-Director of the Human Rights Centre at the University of Durham. This entry was posted on October 28, 2013 by Constitutional Law Group in Human rights and tagged Human Rights Act, Human Rights Act Section 6, Public-Private Divide.